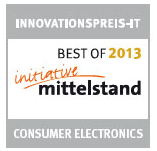 Carlos Amplification is nominated three times for INNOVATION AWARD (2009+ 2010+2013) held by German Innovation award IT in Consumer Electronics, an initiative for the German Middle Market (Mittelstand), chaired by the Federal Ministry of Economy and Technology. 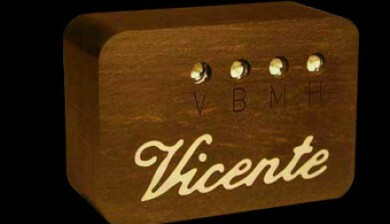 Only official Carlos retailers may sell and install a Carlos pickup. 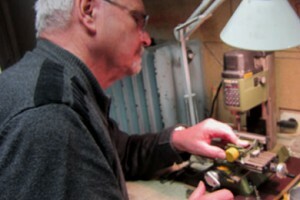 Carlos has personally verified their credentials in installing and selling these world-class pickups. The Carlos brand is world-famous for its performance, accuracy, highest satisfying quality and reliability. 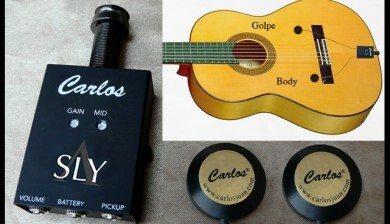 The Carlos pickup is a status symbol - the Rolls Royce of all acoustic guitar pickups. Your music will benefit from this move to a higher sound level. It's great (CP-1A VIP). None of that typical piezo effect. It saved my life, it is the best thing that has ever happened. 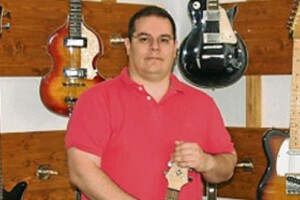 Carlos Juan understands the sound of guitar from A to Z.
Carlos and I share a passion for music, but a big passion for guitar, and he is continuously innovating products for guitarists. 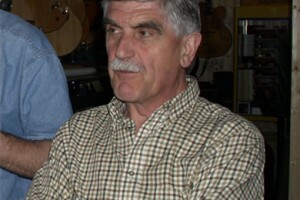 His life, like mine, is dedicated to music in general and the guitar in particular. We have much in common. As both an Artist and Artisan there are probably only a small handful of A-listers in the field of acoustic amplification, and Carlos Juan is probably the first name that would be quoted on that list by the A-list of professional acoustic guitarists. 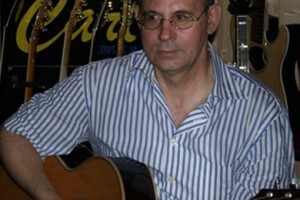 Carlos Juan kennt sich aus in der Welt der Gitarren. 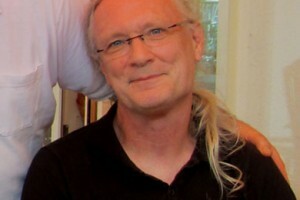 Vielleicht wie kein zweiter. 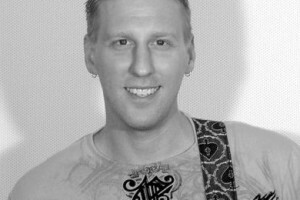 Sein Wissen über Gitarren ist schier unerschöpflich und seine Meinung ist nicht nur bei Sammlern und Investmentbankern gefragt. I've been searching for that (amplified) guitar sound since I started playing live. 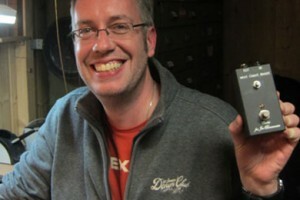 This video clip explains how to install Carlos Juan Acoustic Pickup in any acoustic guitar, incl. Carlos spoken comments of installation-steps in depth. This clip shows how easy it is to self-install the new Carlos SLY pickup: to find the position of the two sensors on the guitar top outside before gluing them on same spots inside. 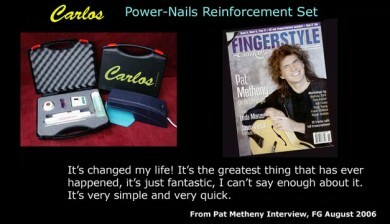 Nails reinforcement set for guitarists used by the great Pat Metheny and numerous other VIPs. 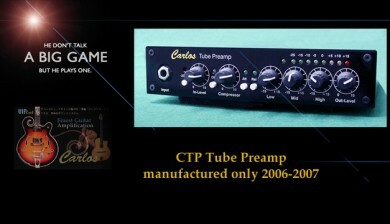 Video outlining the history of Carlos Amplification. 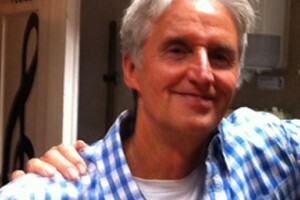 VIPs include Eric Clapton, Gary Moore, George Benson, and many more.